Good shabbos, and hey, if you liked the blog this week, how about hitting the donate button? At the end of Emor, we find the story of the blasphemer. See how its told in the chumash here. What follows are some midrashic notes. Any similarity to fan fiction is a coincidence. They're confident of this fact, not because they've done any research, or made any observations, but merely because Rashi reports it. Unfortunately, they've missed the boat. Rashi, as I've argued at length elsewhere on this blog, wrote his commentary to smooth out perceived anomalies of the text, and he usually accomplished this by citing friendly midrashim. When more than one midrash on the same topic is available, he usually picks one, sometimes even changing the wording or the location of the midrash so that it does a better job of solving whatever problem he's hoping to address. Examples abound, and several are discussed on this blog. R. Papa said: By God! [this is an exclamation] he cannot produce even something as large as a camel. R. Papa goes on to say that the magicians had the power of summoning, but not of creating. R. Papa's view of R. Eliezer's theory is not recorded by Rashi, and is therefore ignored by the thousands, if not tens of thousands, of O.J so-called scholars who pride themselves on their Torah knowledge, but don't seem able to remember what they have presumably seen on the pages of the Talmud when they discuss Chumash. What explains this? If you're like me you've seen this happen a thousand times. Some speaker will open a discussion on introduce a question with the usual formula, ie the words, "We know", as in "We know that the Egyptian magicians couldn't produce anything smaller than a barley seed." But we don't know. Not even Jewish tradition says we know. What we know from Jewish tradition is that R. Papa and R. Eliezer argued about it and that R. Papa was astounded at R. Eliezer's theory. The exchange described in Sanhedrin shouldn't give anyone confidence about the world of magic, not when two amoraim** are in such stark disagreement. What we know from Jewish tradition is that some later authorities, the Rishonim, believed that magic is impossible and that the Egyptians were simply conjurers using slight of hand. What we know from history is that no one has ever performed a real magic trick under laboratory conditions. And what we know from our own experiences and observations is that there is no such thing as real magic. So how do these so called Torah scholars allow themselves to say "we know" when they speak about magic? How do they permit school teachers to train our children to believe that they know anything at all about how magic works? Why in 2010 are there so many Orthodox Jews walking around who, based on nothing more than a completely misunderstood Rashi, imagine that they have something accurate to say about magic? Haven't they at least seen Sanhedrin? *Correction April 30, 2010: The post originally stated that one of the "facts" my friends confidently cite is that "Egyptian magic had no power over anything smaller than a barley seed." This was imprecise. The sentence should have said "...Egyptian magicians had no power to produce anything smaller than a barley seed," which is how I phrased it in paragraph 6. **Correction April 30, 2010: The post originally stated that R. Papa and R. Eliezer were tannaim. They were amoraim. Search for more information about Rashi and his use of midrashim at 4torah.com. In all the communications we've seen and heard in support and defense of Sholom Rubashkin has even one mentioned that the original raid on his plant was carried out by Bush administration officials, as part of a Bush policy? Strange no? Because if it was Obama's men who landed the black helicopters on the Rubashkin property and put the largest kosher meat plant in the country out of business you can bet we'd be hearing all about Obama's anti-Semitic war on religious Jews, and kosher slaughtering. Search for more information about anti-Obama lunatics spin the news in pursuit of their crazy agendas at 4torah.com. Rashi wonders why Shabbos is inserted into the middle of the parsha of the Festivals (moadim). שֵׁשֶׁת יָמִים תֵּעָשֶׂה מְלָאכָה וּבַיּוֹם הַשְּׁבִיעִי שַׁבַּת שַׁבָּתוֹן מִקְרָא קֹדֶשׁ כָּל מְלָאכָה לֹא תַעֲשׂוּ - six days “of these” a melacha is permitted ( “these” are first and last days of Pesach(2), one day Shavuos (3), one day Rosh Hashana (4), one day Succos (5), one day Shmini Atzeres (6) [these are the days that are Yom Tov 'mideoraisa' which are still observed today in Israel]) however the seventh is the holy of holiest – no melacha is permitted (Yom Kippur [not even ochel nefesh])! This graph shows the average worldwide Google searches for the word "Torah." It peaks a little here and there as various Torah related events occurred, like the time-share Torah offered by a Florida shul (Letter D) in September 2007, or the remover of a scroll from the Neveh Dekalim shul (letter B) in August 2005, but the real explosion: Torah Bright's gold medal in February 2010 (letter F). No surprise. My own email box is brimming with calls for thillim, announcements of kinus, and (my favorite) a special conference call starring a famous woman educator with ideas on how we, in our daily lives, can help poor Shlomo. Search for more information about poor Shlomo Rubashkin at 4torah.com. San Francisco Mayor Gavin Newsom announced today a moratorium on official city travel to Arizona after the state enacted a controversial new immigration law that directs local police to arrest those suspected of being in the country illegally. The ban on city employee travel to Arizona takes effect immediately, although there are some exceptions, including for law enforcement officials investigating a crime, officials said. It's unclear how many planned trips by city workers will be curtailed. And I hope other municipalities and corporations do it, too. Boycotting the Diamondbacks is another good idea. They're owned by Republican supporters. The Arizona law is idiotic, unfair, impossible to enforce, and celebrates everything that is close minded, paranoid, and parochial about this country. And before you interject with your anti-liberal complaints, consider the stakes: If the police can hassle a brown skinned man because he, per the Arizona law, "looks suspicious" what protects you from the same treatment? Why won't I join a Daf Yomi shiur? Often, I'm asked why I prefer to study my daily daf alone instead of joining one of the many neighborhood classes/shiurim. The reason I give is that I'm usually a few pages behind, but that's not all of it. I also avoid the public daf yomi lectures because I don't trust myself to sit calmly in the face of barbarities and absurdities such as the one I encountered last night on BT Sanhedrin 69. When I was young, and foolish I used to argue with Christian missionaries (I later graduated to arguing with OJ fundies, and have since realized that is foolish, too.) One of my standard maneuvers, borrowed from some anti-missionary book or another, was to accuse the church of misconstruing Isaiah 7:14. "The verse says almah which means young woman" I would thunder in all caps, "but the church dishonestly translated it as virgin." DB, if this was a GOP administration you'd be all over it. Instead you brush it off. I challenge your intellectual honesty. (1) My slogan isn't "Fair and balanced". I've made no secret of the fact that part of my blogging mission is to be an antidote to the dozens of GOP Jewish bloggers who regularly publish lies, slanders, misinformation, and bad arguments about Democrats. The claim that the joke was racist is misinformation. The suggestion that it means something about Obama is a bad argument. My post didn't "brush off" the joke. It pointed out that GOP Jews were opportunistically and dishonestly using this very mild joke to further their anti-Obama agendas. The post, therefore, was perfectly in keeping with my blogging objectives, and you, Akiva, who have read the blog for at least four years, are well aware of that. Your weak, groundless, claim about what you sort-of-think-maybe I would do, when you know very well what this blog does do, was nothing but a partisan attempt on your part to de-fang my legitimate criticism of how your side is using the joke. (2) But because you brought it up, I question YOUR intellectual honesty. I've never once seen you on a GOP Jewish blog asking why all the posts are anti-Obama when none of the dumb, or bad, or evil, or foolish things Republicans do are ever mentioned. Why do you respect the right of a GOP blogger to pile on, truth be damned, when it comes to Obama, but challenge my "intellectual honesty" when I write a post that says the GOP bloggers aren't being fair? Why is my insufficient anger about a joke worthy of your disapprobation, when the regular anti-Obama lies told by GOP Jewish bloggers are not? Can you possibly explain the "intellectual honesty" behind that choice? (3) Finally, my whole blog is in front of you. Back up the claim you made. I defy you to find even ONE example among my 6000 posts of me being "all over" an innocuous joke. Google and the blog's own search function are at your disposal. If the post exists, you will find it, but if you strike out I expect you to acknowledge that your inability to find a single post in 6000 in which I did something you're oh-so-certain I would do proves that you made an unfair and unjustified assumption about me. At that point, a sincere apology will be in order. Search for more information about hack GOP partisan cristism at 4torah.com. The joke is poorly told. The joke isn't offensive to Jews. It merely depicts us as smarter than a Taliban warrior. I'd like to meet the Jew who does not consider himself brighter than any Taliban. The fact that Jones told a joke starring a smart Jew is no proof that his boss, the president, hates our guts. My dear GOP Jews, I know its tempting to make this leap of logic but the conclusion doesn't follow. Following the success of "Meet the Reform Rabbi", I'd like to follow-up with similar interviews of other Jewish clergy. If you are one of the following, and would consent to being interviewed for the delight and amusement of my readers, please contact me at yourfavoriteblogger@gmail.com. A Hasidic Jew who leads, or has led, a prayer congregation, such as a shteible. No formal ordination necessary. An Orthodox Jewish woman who teaches, or has taught, in an Orthodox High School, or Seminary, preferably with the title mechaneches or similar. An ordained conservative Jewish woman, preferably one employed as a Rabbi by a shul. Thanks in advance. If you'd like assurances that the interview will be gentle and that you won't be embarrassed, you can check with Rabbi Hayon on Twitter, or through me. Search for more information about Jewish Rabbis at 4torah.com. Rubashkin's supporters are circulating a slick new video urging all thoughtful and sensitive people to petition the Justice Department for leniency on Rubashkin's behalf. See it after the jump, along with a public call for Tehillim on Ruby's behalf. What do I think about all this? Sigh. I really don't know. I'm convinced of the man's guilt, and general sleaziness, but I'm not sure what his punishment should be. Nor do I have anything concrete to say about the motives of the prosecutors. Could they be anti-Semites, drooling at the chance to put a bearded Jew behind bars? Well, sure. Of course that's possible. I doubt its true, but stranger things have happened. I'm kicking myself for not seeing the most blatantly idiotic thing about Lazer's dumb theory on Why God Made the Iclandic Volcano Explode, which was brought to my attention by an anonymous commentator. Here, again, is what Lazer imagines God said to the UK after He, in his majesty and spledor, was notified by the ministering angels that a British burecrat had asked the Isreali Ministry of Tourism to reach a slightly higher standard of truth in its advertising. "Aha, Great Britain - are you so brazen to discourage tourism to My Holy City?" Hashem asks. "You question My children's right to their Father's palace? You shall not have a single tourist entering or leaving your silly Island!" Only Lazer's god appears to be the Homer Simpson of dietys. He went to all the trouble of arranging for a volcano and a mighty cloud of ash for the express purpose of preventing "a single tourist" from entering or leaving the UK, and what did those lousy non-cooperative tourists do? They took the chunnel. Search for more information about dumb theodicies at 4torah.com. Seeing as there are two holidays today, Earth Day and "Let's Make Fun of Fundies Day" on DovBear I decided to join in the fun. I wrote a more comprehensive blog post about this particular loon on my blog. I would be remiss if I did not share with you the advice of this fundamentalist environmentalist. Search for more information about fundamentalist environmentalists at 4torah.com. Lets not laugh at loony clerics... oh ok, lets. This could just as easily be Avi Shafran they're laughing at by the way. He said the same kind of thing. Some people think they're smart, like the British folks who run the British Advertising Standards Authority (ASA). The day before yesterday, the senseless stuffed-shirts declared that the Western Wall and the site of our Holy Temple in Jerusalem are not part of Israel, banning Israeli Tourist adverts that included photos of these holy sites. This is true, but misleading. What happened is some British civilian complained to the UK Advertising police about an advertisement for Israel, in which the Western Wall was identified as part of Israel. Technically, this is what experts call a PITA complaint, but it is accurate as the area has (from the perspective of the British and international law) never been annexed. The person who made the complaint is a douchy troublemaker, of course, who should have been ignored by the Standards Authority, but his point, from his perspective, is true, not false, and the action taken by the UK was harmless: they said this one particular advertisment couldn't be used again. They did not say that photos of the wall were banned, as Lazer implies. From what I understand, those photos can be used so long as no claim is made that they are "part of Israel", which, if we're being picky, technical, and well, truthful, about the perspective of International law they are not. The bumbling Brits didn't realize that when you mess around with Jerusalem and the Wall, you mess around with Hashem. Aha, Lazer Brody - you're an over-reacting drama queen. No tourism was discouraged, and no one questioned our right to the Temple. All they said was, "Hey, don't use that particular advertisement anymore." You are truly making a mountain out of a molehill. I understand its necessary for you to do this, because otherwise you're explanation for the volcano seems petty indeed, but wildly exaggerating the facts of the case for the purpose of defending the Israeli Ministry of Tourism's right to tell what the UK should view as little, white lies in their ads doesn't seem like the best use of your time. So what did Hashem do? He allowed nature to take its course with no direct intervention as per the view on How the World Works expressed by several Rishonim, but now, thanks to the influence of the Ari and the Bsht, considered to be heretical. Hashem let a remote volcano in Iceland erupt, from the Icelandic mountain Eyjaffjalljokull, whose ash cloud grounded all air traffic above Britain yesterday, leaving thousands of passengers stranded. You see, the microscopic particles which make up volcanic ash pose a threat to aircraft because they can affect visibility and get sucked into aircraft engines, causing total breakdown. Whoops! Lazer is so desperate to show that those Rishonim mentioned above were wrong, and that God directly, and minutely controls every thing for a discernible purpose that he's committed a very significant sin of omission. The ash cloud grounded air traffic all over Europe. Silly France (Does God really think of countries containing millions of creatures made in his image as "Silly" as Lazer imagines?) Silly France, and Silly Germany and Silly Austria and the rest of Silly Europe all were affected by the ash cloud. What did they do to God, and Jerusalem and the Wall? Lazer doesn't say. Silly Spain and Silly Portugal were spared I guess the sin of the inquisition is forgiven! No one remembers when British airspace was totally closed. Such a natural phenomena as an atmospheral ash cloud is one in a zillion. But, Hashem in implementing His Divine justice is defying statistics more and more as we get closer to Moshiach. What does defying statistics have to do with Moshiach? I see no connection. Moreover, saying that we're getting closer to Moshiach is like saying we're getting closer to tomorrow. Its always true. Thus, Lazer may have just as easily said "I continue to jot out ridiculous bits of theodicy as we get closer to Moshiach" or "DovBear continues to slap me upside the head for my stupidity as we get closer to moshiach" or, really, anything at all. Oh, and small correction, I'd like to see the study that says the odds on an ash cloud are "one in a zillion" I'm no mathmatician, but I think the odds are closer to "one in eleventeen-nonnillian-quintillion" Anyone want to check the figures and let me know? Britain's air traffic service said late Thursday it was extending a ban on most air traffic until 1200GMT (8 a.m EDT) Friday, this morning. Meanwhile the financial losses and the chaos is mindboggling. But still not as mindboggling as your dumb blog post. With deep thinkers like you around to distort facts, exaggerate events, and leave out significant details in defense of a theory on How the World Works rejected by many Rishonim, anyone would be foolish to try. Search for more information about theodicy at 4torah.com. Today's blast from the past discusses a Shabbos riot in Williamsburg from 1966. According to the article the riot, which actually occurred on Saturday night, long after Shabbos had ended, was the first of its kind in Williamsburg. As you'll see, the crowds reaction seems justified - they were parading in the street and a driver didn't like it, and the paper's coverage seems fair. I share it here as reminder and a record of those days of old. Search for more information about Ytev Lev Satmar at 4torah.com. More on Fox and "Fairness"
The beat down Jon Stewart delivered on Bernie "Boring" Goldberg was one for the ages. It was funny, scorching, accurate, honest, and demonstrated for perhaps the 8.9 millionth time that Fox is neither fair, nor balanced, and is therefore in no position to criticize the perceived biases of their critics - and especially not the perceived biases of a self-avowed comedian. Two for the price of one: Still not convinced Fox deal dishonestly with Obama? Still think they're just offering hard, but fair criticism, and providing a needed antidote to the rest of the liberal media? Well, if that's what you think you are blind stupid and wrong. Not mistaken. Not "presenting a different, but legitimate opinion." Blind. Stupid. And wrong. Fox lies: Deliberately, frequently, and systemically. Here's yet another example. One cow in Palestine is worth more than all the Jews in Europe. I've tried and failed to source this quote. I don't know if he said it. I don't know when he said it. And if he said it, I don't know what the context of the remark was. Notwithstanding the title of the post, I don't know "what Greenbaum really said." If you can provide some background, please do so on the thread. I agree, that if he said what he is claimed to have said during the holocaust the remark is viscous indeed; however, if he said it before the war, when Polish Jewry was safe, much of the viciousness is mitigated. Greenbaum was a founder of Israel, who eventually held an important position in Ben Gurion's administration, but he wasn't an all-powerful God. People didn't just do whatever he said, or blindly embrace his every opinion. Its possible he said what he is alleged to have said, and the other Zionists denounced him, or ignored him, or laughed at him and said "That Greenbaum, always saying crazy things" before going back to saving Jews. This is why the context of the remark is so important. Before it can be used as a club with which to beat the Zionists, we have to know what Greenbaum meant, how he was understood, and how the other Zionists responded. If they all thought he was a crank, the remark can't be used to indict Zionism as a whole. In the most famous versions of the quote Greenbaum is speaking of ALL the Jews in Poland or Europe, and not merely the religious. This adds a note of irony to the discussion. If the Jews Greenbaum allegedly abandoned had managed to come to Israel, Greenbaum-haters would now be throwing rocks at the grandchildren of those rescued Jews and wailing about how much (more) power Israeli seculars have. Search for more information about things the Satmar Rebbe did to sow hatred and discord among Jews at 4torah.com. 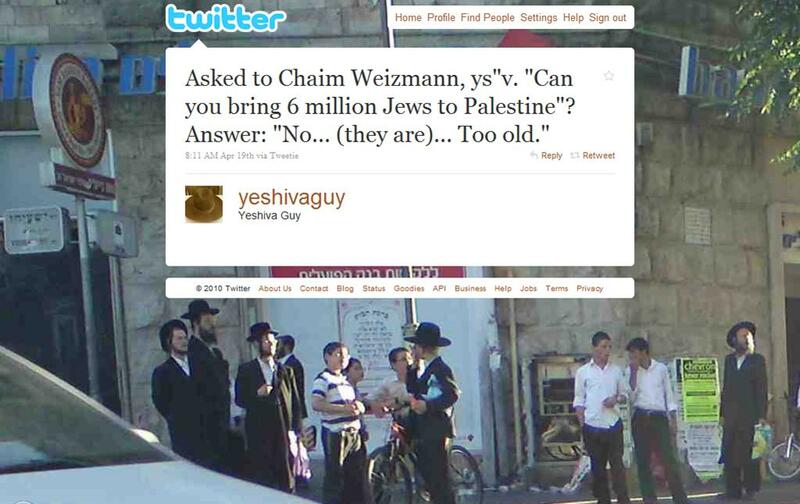 The old ones will pass... What Weizman really said. What you see above is the Twitter version of one of the slanderous things said by anti-Zionists about the founders of Israel. Having only 140 characters at his disposal, Yeshivaguy has to be brief. The expanded version of the lie, goes something like this: "At the height of the war, Chaim Weizman was asked if he would absorb 6 million European Jews into Palestine. He said, no. We don't want them. They're too old." I told the [Peal] Commission: God has promised Eretz Israel to the Jews. This is our Charter. But we are men of our own time, with limited horizons, heavily laden with responsibility towards the generatiosn to come. I told the Royal Commission that the hopes of six million Jews are centred on emigration. Then I was asked" But can you bring six million to Palestine?" I replied, "No, I am aquainted with the laws of physcis and chemistry, and know the force of material factors. In our generation I divide the figure by three, and you can see in the the depth of the Jewsish tragedy: two millions of youth, with their lives before them, who have lost the most elementary of rights, the right to work. The old ones will pass, they will bear their fate, or they will not. They are dust, economic and moral dust in a cruel world. And again I thought of our tradition. What is tradition? It is telescoped memory. We remember. Thousands of years ago we hears the words of Isaiah and Jeremiah, and my words are but a weak echo of what was said by our Judges, our Singers, and our Prophets. Two millions, and perhaps less. Sche'eirt Hapleta - only a remnant shall survive. We have to accept it. The rest we must leave to the future, to our youth. If they feel and suffer as we do, they will find the way. Beacharit Hayamim - in the fullness of time. Sounds a little bad, I admit. Only, like the anti Zionists, I left out one important detail: Weizman said this in 1937! 1937! This was before the Final Solution, before the War, before the invasion of Poland. At the time, no one dreamed that Hitler posed a mortal threat to every Jew on the continent. Weizman's use of the number 6 million was just an unfortunate coincidence. What he is saying here (again, the year was 1937!) is that the old Jews of Europe are set in their ways, comfortable in their homes, and unlikely to emigrate. He's not saying (as the anti-Zionists claim) that they are unwanted, or that they are to be abandoned to Hitler's as yet unimagined ovens. He's merely speaking realistically about Palestine's ability to absorb Jews, and about the likelihood of Europeans Jews to emigrate. He has not rejected an opportunity to save Jews, which is what the dishonest anti-Zionists claim. Something else the dishonest anti-Zionists forget to mention: In the same speech, Weizman outlines a plan to accelerate the rate of immigration to Palestine by 150 percent. When he says "the old ones will pass" he means only that they aren't likely to be among those who come to Palestine, and become part of the Jewish future. Search for more information about lies Satmar Hasidim and their useful idiots tell at 4torah.com. More crap from RW losers, who hate Obama and are too lazy to make a phone call to the White House and ask a simple question like, "Hey, how'd you come up with that logo" here, and here. Our own E-Fink was featured, together with his shul, on David Horsey's Escape into America. Because Mister Horsey is employed by MSNBC, I expected the feature to be rude, slanderous, negative and disrespectful. I was sure Jews would be mocked. And because most Jewish bloggers see what they wish to see when it comes to Jews and the media, I expect someone, somewhere, will be able to tell me what Horsey did wrong, and how his item was deeply unfair to religious Jews. But, as for me, I thought it was just fine. Could the failure be one of vocabulary? As unfortunately expected, some from the RW Orthodox community responded rudely to Rabbi Hayon, and his answers to my questions. The nasty comments shared a common theme, claiming that by choosing to call himself a Jew and a Rabbi, Rabbi Hayon was deceiving himself, and perhaps the public, too. This perspective also informed some of the polite, but pointed questions asked by readers who wanted to know if Rabbi Hayon wears t'fillin, or posts a mezuzah on his wall, or eats pork or shellfish. When Rabbi Hayon did not answer, some readers took his silence as a sort-of-confession and asked how a Jew, not to mention a Rabbi, justified these violations of the Torah. They wanted to know how someone who follows no religious law, and performs no religious actions could consider himself "religious". The failure here may be one of vocabulary. Many mainline Protestant denominations (quoting Wikipedia) "have tried to come to terms with the impact of modernity, critical biblical scholarship, and the scientific method. They tend to be open to new ideas and societal changes" They ordain women. Most of their members attend Church rarely, and church services consists of hymns and a sermon. They have no rituals, and make few demands on their communities. Contrasted with Catholicism, these mainline Protestant groups don't seem very "religious" at all. The mainline Protestants have no sacraments, no majesty, no mystery. Their approach to religious is rational, not ecstatic or emotional. The Protestant cleric is not believed to have supernatural powers. He can't conjure bread into the body of Christ. And he makes few doctrinal demands on his followers: The mainline Protestant can eat what he likes, when he likes. He and his wife can use birth control, and abortion isn't a sin. However (and here's where the bit about vocabulary comes in) Christendom, unlike Judaism, has an umbrella word that includes all of its sects. That word is "Christian." While any Catholic would insist (correctly) that a mainline Protestant is non-Catholic, he'd never dream of saying that a mainline Protestant isn't a Christian. We Jews don't have an analogous word. We no longer have a word that emphasizes what the different Jewish sects have in common, a word that all the different sects can fairly and happily claim as their own. Once upon a time, that word was "Jew", but the evidence of RW commentary on this blog, and others suggests that nowadays RW OJs are unwilling to share this word, or to use it in a sense that includes those, who as a matter of theology or doctrine, deny that Torah law is binding. So perhaps what we need is a new word. Ideas? Search for more information about vocabulary at 4torah.com. A Facebook friend, (Jewish Atheist), posted a really fascinating article on his Facebook profile. The article is a Boston Globe piece and is called "The Unbelievers". I recommend reading the entire article as this post will just highlight a few parts of the well researched article to illustrate some points of interest to this audience. According to this article, there are significant clergy members of various Christian denominations that for all practical purposes are "Orthoprax Christians". They value the rituals, the connection with others, the music, but they don't believe their religion's theology. They don't believe in God. When comparing ministers and Christianity with Rabbis and Judaism there is a marked difference. Almost all Orthodox Jews spend several years of Torah study. Many lay people in the OJ community are more learned than their Rabbis. The article led me to believe that it is highly unlikely that lay people in the Christian community would be "Orthoprax Christians" because they don't know enough about the Bible and Christianity for the gaping holes, flaws and problems to bother them. But the educated class, the clergy, is susceptible to disbelief because they know what the problems are. Cynics have said that the reason for "Daas Toyrah" ousting rationalism and "Slifkinism" from the "mesorah" is to keep the public ignorant so that they won't revolt against the rabbis. Perhaps there is some truth to that cynical belief. Ignorance will definitely keep people in line. It also shows is a complete lack of confidence in Torah. Reading through the article I noticed little things that are virtually the exact ideas that Orthoprax Jews talk about. One idea is the "more benign forms of religion". That is a religion without God. It takes the moral aspects of religion and the rituals but divorces them from divinity and yet brings people together. Another idea is the issue of who wrote the Bible. Orthodox Jews don't usually struggle with this. But those who are aware of the issues, do. In short, this article is not written about Jews. But it very likely could have been. It seems to me that there is nearly endless room for discussion about the questions it raises for us. I urge you to read the article and think about how it makes you feel. The article made me feel confused about how I feel. How about you? Search for more information about Orthoprax Christians and Jews at 4torah.com. After answering the first set of questions, Rabbi Hayom was gracious enough to provide answers to some follow up questions. They are provided below. The Rabbi also answered several questions asked on the previous three threads - and tells me he hopes to answer more of them. His answers to the best of those questions are reprinted below for your convinience. Rabbi Oren Hayon is a Reform Rabbi, who has been answering questions from me and my readers for the last few days. If God did not give us the Torah [as Rabbi Hayon seemed to say in an earlier comment], what value does it have insofar as a religious text? And if there is no value in its text, then why preserve a culture / lifestyle that is borne out of its study? Read the answer after the jump. Pope Benny, of course, has no comment. Search for more information about Catholic anti-semtism, how it is virtually inseparable from Catholic theology, and how it remains a toxic force in the hearts and minds of millions at 4torah.com. I was just reading a comment on a blog post from someone on the subject of mikvah, and they happened to mention that the mikvah they use has a policy to not allow anyone who is a non-orthodox convert to immerse there. The person herself is a Conservative convert and does immerse there as the closest Conservative mikvah is 300 miles away, but the balanit / mikvah lady has never asked her anything. But her “deception” puts a damper on her mikvah experience, because she is worried about being “found out”. Have you ever heard of such policies? Is it halachically ok to ask someone coming to the mikvah if they are Jewish, if they converted, and if so, through who? When single women use the mikvah so that they are sinning less when sleeping with their boyfriends – that should be ok because they were born Jewish?! We would be shocked to be asked by the balanit to prove we are married, right? So, how is this ok?!! IMHO anyone that shows up to use the mikvah should be welcomed and not asked any questions. Search for more information about [mikvah] at 4torah.com. During our interview, Rabbi Hayom was kind enough to answer some questions I knew were impertinent and rude. I asked them anyway because I know they are the sort of things Orthodox Jews want to know. You can see them after the jump. I apologize again to Rabbi Hayon for asking these questions, and thank him publicly for his thoughtful replies. Today on DovBear we interview Rabbi Oren Hayon, a Twitter friend, scholar, and all around good guy. Oh, and he's a Reform Rabbi, too. In the interview that follows, he tells about his training, his daily routines, and shares his thoughts on any number of hot and cold button issues. Commenters here and writers on other OJ blogs frequently say unkind things about Reform Rabbis. In fact, among the Orthodox, the very idea of a "Reform Rabbi" is something of a joke: They're imagined to be religious ignoramuses, who are more concerned about hippie initiatives like organic beef then they are about tradition, law, and service. So I thought it would be illuminating to put a legitimate Reform Rabbi on the seat of heat here at DovBear, and to hear his responses to some of the typical questions, objections and stereotypes. Rabbi Oren Hayon, a friend of mine from Twitter who frequently provides me with fast, witty answers to questions about Torah, grammar, and history, has graciously agreed to participate. His interview will be appearing later today, in two parts. If you have questions of your own, please leave them on the thread. Time permitting, Rabbi Hayon may reply. Search for more information about the big interview at 4torah.com. Is an Orthodox Rabbi selling fake Holocaust Torahs to non-Orthodox congregations? Using a metal detector, Rabbi Youlus said, he searched an area within the boundaries of the prewar cemetery in Oswiecim and discovered a metal box buried near a house built after the war. Inside, he said, was the Torah, but it was missing four panels. He said that he had placed a classified ad in a Polish newspaper “asking if anyone had parchment with Hebrew letters.” He said a priest had responded to the advertisement, telling him, “I know exactly what you’re looking for” — the four missing panels. Some historians who specialized in Holocaust studies wondered about Rabbi Youlus’s account, and in May 2008, he was asked by The Times for additional details about the Torah. 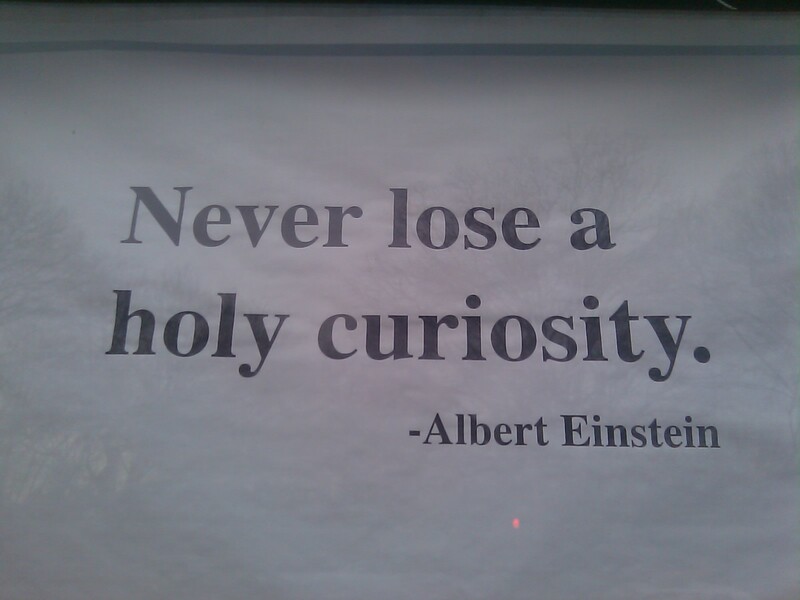 He said, among other things, that the Roman Catholic priest who had answered his advertisement in 2004 had died. He also said that he could not remember the priest’s full name. After a story appeared in the Washington Post Magazine, casting doubt on the stories Youlus has told the synagogue that received the Auschwitz Torah, and the philanthropist who purchased it from Youlus, hired a scholar to investigate. He found Youles has no proof of anything: No photographs, contracts, receipts, or names. He can't identify the priest who sold him the four panels, and he can't name the newspaper that carried the advertisement, or say when or where the ad would have appeared. These are serious questions indeed; however, they have been raised by the liberal Jew hating media, so please feel free to disregard. Search for more information about swindles at 4torah.com. Nowadays, no self-respecting paper would run a puff piece like this, and certainly not one that did nothing but announce the names of wealthy people who had made sizable donations to an marginal college. I wonder how these wealthy people would feel if they knew Orthodox Jews, today, generally believed that the 1920s were a time when no one in America cared about Orthodox Judaism, or Orthodox Jewish law. In my imagination, I can almost hear Samuel Levy shouting, "You know-nothing jerks! We cared about Orthodox Judaism and Orthodox Jewish law to the tune of $62,700,000 in 2010 dollars using the Consumer Price Index as a means of calculating the relative value of a dollar! So there!" I looked Samuel Levy up, and found that he was also a member of NYC's Board of Education during the 20s and 30s. 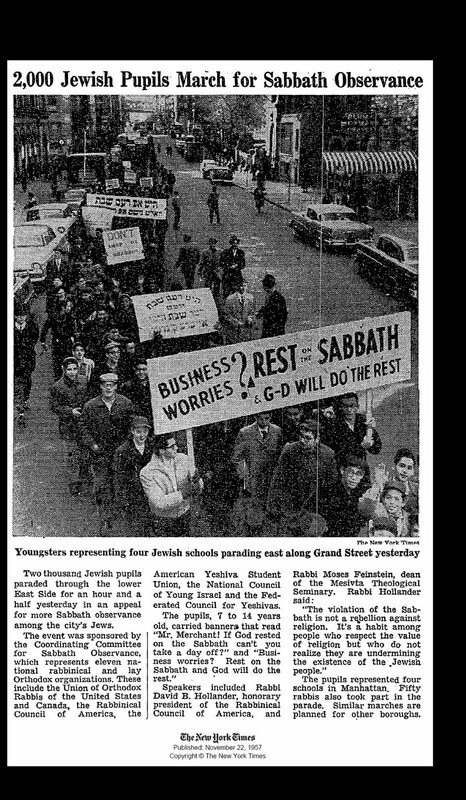 In his 1953 Times obituary Levy is given credit for being "instrumental in changing school rules and regulations for that Jewish students could observe their holy days without penalty." Search for more information about great, forgotten Jews at 4torah.com. I see there are others who fault Bibi for the slight chill in US - Israel relations. Since I have no reason to believe that Benjamin Netanyahu is bluffing about his readiness to attack the nuclear facilities of Iran, I find his recent behavior incomprehensible. In the wake of an Israeli attack, terrible things will almost certainly happen. There will be another war with Hezbollah, whose missiles will this time reach Tel Aviv. The Iranians may themselves respond directly with force. The price of oil will explode, afflicting ordinary people everywhere with the consequences of Israel’s strike, and provoking a new revulsion against Israel, and also against the United States. And the only ally that Israel will have in that disordered and dangerous hour will be the United States. Otherwise it will be friendless. The American government will likely be infuriated by the attack, but there is a formidable tradition of American solidarity with Israel, all bickerings aside, that may mitigate its fury. Strategically speaking, therefore, Israel’s relationship with the United States should be of supreme importance to its government. I myself am not persuaded of the wisdom of an Israeli attack on Iran—I do not see that it can accomplish its purpose: the only real solution is a democratic government in Tehran, secular and reasonable and transparent and intent on rescuing Iran from its modern adventure in medievalism—but I understand why Israel believes that it must damage and delay the nuclearization of this vicious and anti-Semitic tyranny. My disagreement on this question is uncharacteristically humble. But less humbly I insist that it is mad for Netanyahu to think that he can have it all: the strike on Iran, the steadfastness of America, the churlishness about a peace process, the apartments in Ramat Shlomo. In these strategic circumstances, Rabin and Sharon would have damned the apartments, and the small perspective that they represent. For all his lectures on history, Netanyahu lacks their historical amplitude. He cannot tear himself away from his numbers. I concur that Israel has the right to build in Ramat Shlomo: I have the right to jump off my building, which some of my Jewish readers may wish me to do, but it would not be the intelligent course of action. What most alarms me is that there has occurred in Israel an eerie loss of faith in the art of diplomacy. At this hour the Israeli government should be a hive of diplomatic creativity. It should be swarming with proposals and concepts: a map of its vision of Israel and Palestine; or a program of measures to strengthen the Fayyad-Abbas administration, because the alternative is Hamas, with its scriptures and rockets (I am not persuaded that the quiet on the Gazan frontier denotes anything more than the success of Israel’s harsh campaign); or a draft of a West Bank-first agreement, with all the blandishments that it will bring to Palestinians in the West Bank, so that Palestinians in Gaza may eventually seek to enjoy them; or a plan for an interim armistice agreement of the sort that Ehud Yaari has described; or anything else that will demonstrate that Netanyahu’s commitment to two states is designed to make peace also with Palestinians and not only with Americans. Instead I observe in the Israeli leadership a rigid and insensible attachment to the status quo, which consists in a prosperous high-tech contentment protected by a wall and a bi-annual war in the north or the south. Some of this status-quo-ism results from the pettiness of Israeli politics, which is what Obama rightly wishes to challenge; but some of it results from a despair of the world, to which Obama is callously indifferent. Netanyahu’s ideal is no good: a normal life does not go with a despair of the world. He seems to regard Israel’s unpopularity as evidence of the justice of its cause, and in this dirty world I half-see his point; but Israel is not an island. It would be a monumental failure of statecraft to lead his country into complete isolation. Search for more information about why DovBear loves Israel at 4torah.com. Mea Shearim is the new Harlem? Today, I avoid Meah Shearim and the other Jerusalem Haredi neighborhoods the way that Washingtonians avoid Anacostia and New Yorkers(*) know not to go to Harlem. How do I decide where I can and cannot go? Rule of thumb: if I feel that I would have to change my clothes first, put on something more concealing (like, say, a burka) I do not go. Suffice it to say that there are large swaths of Jerusalem that are now off limits. However sometimes, by accident or unavoidable circumstance, I find myself in one of the Haredi enclaves. There was the time I had to pick up something in Ramot and started to panic when I realized it was 1) a Haredi neighborhood and 2) I was not wearing Haredi attire. And there was the time last summer when I got lost while driving a friend to the Central Bus Station and found myself driving through Meah Shearim. At night. In a short-sleeved shirt. I am not exaggerating when I say that I was nearly in hysterics by the time we finally got the hell out of there. And I'm not exaggerating when I say that this opinion of Harlem is so 1970. Harlem has been gentrifying for years. Its now home to smart restaurants, elegant brownstones, and the Offices of Former President Bill Clinton. No one, today, expects to be accosted by a mob of muggers on the streets of Harlem. White people no longer avoid Harlem; in fact many white people live in Harlem (the area hasn't had a black majority since 1998). "Harlem is a scary place" is a ghost of Christmas past that belongs with "women are given to hysterics" on the discredited and out-of-date idea pile. And even if we permit the exaggeration, I have problems with this line of argument. According to the popular (racist) misconception, Harlem was a frightening neighborhood, with muggings in every alley, and the blood of assaulted white pedestrians on every corner. In her post, Gila suggests Mea Shearim is basically the same sort of a place, a place where women are attacked almost every day, a place women should be afraid to visit. Though, I follow the news from Jerusalem as closely as anyone I find this contention absurd. I know that a dangerous pathology is metastasizing in Haredi neighborhoods. I know that some streets are patrolled by religious goons who imagine its their God-given obligation to beat women, and I know that their rabbis and the Israeli government do far too little to stop it. But Meah Shearim still isn't (imaginary, olden days) Harlem. Search for more information about Harlem at 4torah.com. Dov Bear earlier showed a common point of opposition to Yom HaShoah, that being it is sourced in "secular" form of a memorial rather than a "Jewish" source. I would like to describe another form of opposition and ask for your thoughts. Putting aside the issues of is it Jewish, should it be in Nissan, moment of silence, the Zionists could have done more, etc. Putting all that aside, here is another idea. Yom HaShoah was created as a memorial for the victims of the Holocaust. But it was not focused on the victims - it was more focused on being a memorial for the Warsaw Ghetto Uprising. That is why the date was chosen for 27 Nissan - because it is within the month of the uprising, and that is why the day is called Yom HaShoah V'HaGvurah - the Day of the Holocaust and of Heroism. To be brief, and because I don't remember all the details of how it developed, the idea of the day was to commemorate the Holocaust through the ghetto uprising - as if the correct response to the Holocaust is to rise up. While the uprising itself might have been fine, after the fact it is wrong to commemorate that as the main focus of the holocaust. We have to, after the fact, accept Hashem's judgment and ruling, and that is that 6 million had to die for whatever reason. To focus on the uprising is to negate that as if to say we could have done better and averted it by being more courageous like them. Whether that sentiment is right or wrong, after the fact we have to accept hashem's judgement. Establishing the day the way it was established is calling into question our acceptance of what happened, our acceptance of hashem's judgment. And that is why, according to my rav, we oppose the day. I had some questions, such as while that might be a reason to not create the day to start with, or to create it differently, but after the fact, now that it has been created and is part of our calendar, why not take advantage of it and teach our kids about the holocaust properly - since we dont really focus on it any other day... The answer given is that you should pick another day, 9 Av perhaps, and teach your kids about it, but not on Yom HaShoah. 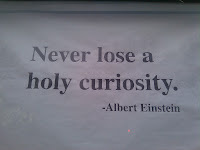 I shoul;d add that he also made it clear that no chillul hashem should be made. if in public, one must stand with everyone else. This is only referring to general, private commemoration. The day, in general, should be ignored. So, what do you think about this argument? 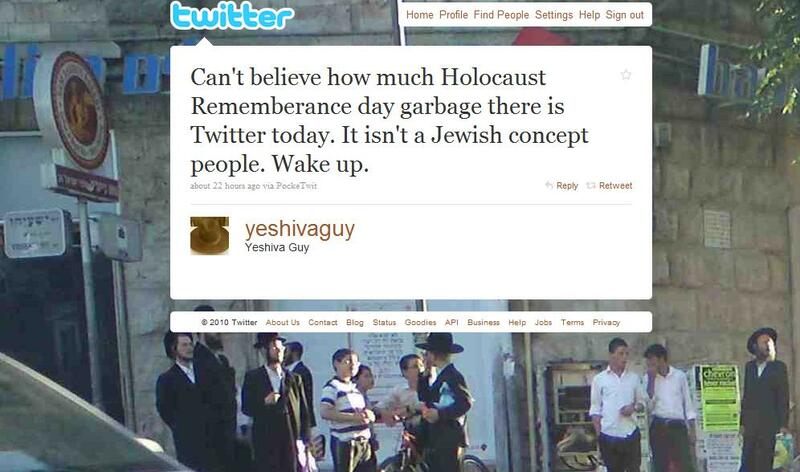 Yom Hashoa = "Not Jewish", "Garbage"
Yep, this is how far we have fallen. Someone who identifies himself as a "Yeshiva Guy" is using Twitter to call out people for remembering their Holocaust dead. And don't I wish it was merely one whack job on Twitter who thinks like this. In the twisted muddled up OJ world we live in today there are legions of black-hat wearing dopes who agree that its "not a Jewish concept" to memorialize dead people, and would prefer that it wasn't done. Search for more information about idiots who think they are speaking for Judaism at 4torah.com. I like how this pro-shabbos demonstration involves no stone-throwing. The approach seems to be one of love. Note the quote: The speaker holds sabbath violates are solid, decent people who don't know any better. He's speaking to a brother, and not to the members of a rival sect. What a shame such a thing now seems so quaint. Search for more information about famous aliyot at 4torah.com. 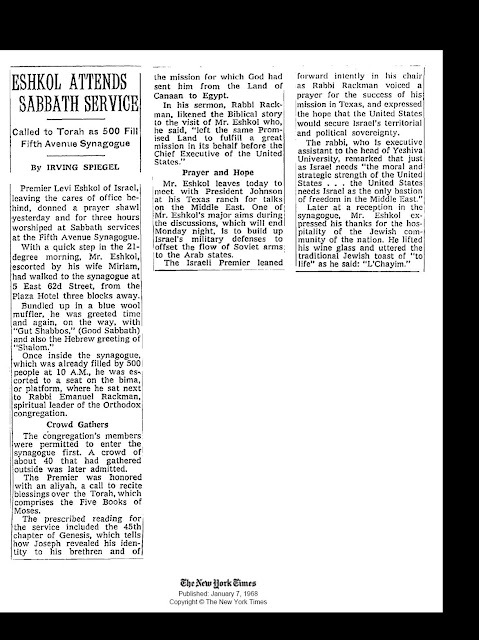 I think its neat that the three greatest names in Orthodox Judaism attended this wedding, and find it beyond precious that the Times described their participation this way: "[The mesader kidushin, Rabbi Pinchas Teitz] was assisted by Rabbi Aron Kotler, Rabbi Moses Feinstein and Rabbi Joseph B. Solivetchik." My dear friend @yeshivaguy is fond of insisting on Twitter that Rabbi Aron Kotler made a habit of publicly disgracing and defaming Rabbi Joseph B. Solivetchik. I don't believe it for a second, and am deeply offended on Rabbi Kotler's behalf. But assuming @yeshivaguy is right (he's not) one wonders how the assisting at this wedding may have went. RAK: Man, I didn't know you were going to be here! RMF: Gentlemen, its time for us to start assisting. RAK: Let Joe B. do it. I'm out of here. RJBS: Haven't I told you a 1000 times not to call me Joe B? I also note in this article a hint of a generational shift. The senior Rabbis are identified by their English names (Aron, Moses, Joseph) but the groom is Yosef. Finally, will we ever again see a day when a Lakewood Rosh Yeshiva attends the wedding of a Barnard graduate with plans to continue her education at Columbia? Search for more information about things you don't see anymore at 4torah.com. Unless you live under a (very litvish) rock you know that this week is Shlissel Challah Week. This is the segula that "everyone" does the week after Pesach, or more specifically, the week of Shabbos Mevarchim Iyar, for good parnassa. Most people I know participate in this segula by baking challah for Shabbos with their home-key baked into the bread. I think this is the prevailing way of doing it, but I could be wrong. A lot of people think there is no source for this custom. While early sources are scant, the Sefer Todaah, by Eliyahu Ki-Tov writes (and I paraphrase) that there is a custom to bake Challah in the shape of a key sprinkled with sesame seeds. The seeds remind us of the mon which began in Iyar and that is why we do it this week. In general I shy away from placing too much weight in pure segulos. I call them "shortcuts". People want the "merchandise" without paying the "price". They think that God will grant them what they want if they perform some ritual. I say, let's get the basics right first. This segula is even funnier. The only source I know for the segula (Sefer Todaah) says to bake the challah in the shape of a key. Yet, it seems that is just too hard for people. It's too much effort to fashion a challah in the shape of a key. So instead people take another shortcut and make the challah in the standard fashion and just bake the key into the challah. Search for more information about super-duper shortcuts at 4torah.com. You have prior permission to reprint this on your blog. Ever since I was a kid, one of my favorite culinary memories of Pesach, aside from matzah brei made with peanut oil, was chopped herring on matzah. And in my adult years, since I moved to CA-city, I have always enjoyed the homemade chopped herring served up at the appetizing counter of our local Kosher-ama market, made under very reliable hasgacha. Unfortunately, I enjoy it no more, at least not over Pesach. A couple of years ago, while doing my Peasach shopping, I stopped at the appetizing counter and asked for my usual, homemade whitefish salad and chopped herring. The whitefish salad they had, but the chopped herring, nada, shum davar, klum. I didn't get a real straight answer from the guy at the counter, but I got the impression that this was something forced on them by the mashgiach. Last year, they had chopped herring, but they must have modified the recipe somehow, becuase it was lousy. This year, no chopped herring. Now chopped herring contains little more than pickled herring, apples, maybe some sugar, and matzah meal. I don't know what would all of a sudden make it not suitable for Pesach. I have a sinking feeling that the kashrut agency that supervises the Kosher-ama has gone on the no-gebrokts bandwagon. When I look around the store, I see no prepared food and very few packaged items that contain gebrokts. They still sell matzah meal, matzah farfel, and even cake meal, but I fear the worst may happen in the coming years. Sure, I can always go over to the Safeway and get gebrokts stuff (not to mention Hebrew National hot dogs), although premade baked goods that are meade of actual wheat matzah meal are getting hard to find even there. What seems to be happening is that the fanatics are taking over and forcing the rest of us to follow their silly minhagim by default. But my main complain here is that the pleasure of my Yom Tov is diminished by the lack of chopped herring. I want to know if other people in other cities are having this same problem. I mean, if I can't have chopped herring on Pesach, I might was well be celebrating Easter. Here we go with another new and exciting feature at DovBear.blogspot.com. What I plan to do is scour the archives of major newspapers and magazines for interesting, amusing or historically significant articles and reprint them here. The first one: Is Dancing Kosher? Jews Struggle to Define Orthodoxy appear below. Time between now and when Yeshiva World steals this idea: What? They haven't stolen it already? Meanwhile, I need a good name for this feature. Your thoughts welcome. The waters of the Hudson River gently lapped at the bow of the cruise ship sailing under the flag of the Glatt Yacht as it slowly pulled from the noisy shoreline of Manhattan. A couple celebrating a special anniversary got up to dance as the pianist played Billy Joel's "Just the Way You Are." Suddenly a rabbi appeared on the dance floor, tapped the man on the shoulder and asked the couple to stop dancing. When they ignored him, he walked over to the pianist and ordered him to stop. The boat was eerily silent until the couple sat down; only then did the music resume. The good people at Blogger.com have finally added some new templates to their dull as dishwater collection. They've also introduced a new tool, called Template Designer, which lets you easily change your blogs look, layout, colors, and more. So of course this means I'll be fiddling around and foisting upon you something new before too long. Search for more information about itchy design fingers at 4torah.com. Those Jews just wont leave Jesus alone. Please note: There are all sorts of differences between how the Church and Agudah responded to their respective child abuse scandals. Huge differences. I can't think of any right at this particular moment, but believe you me they exist. Also, the main so-called "similarities" are coincidences. The fact that both organizations denied the allegations, disparaged the victims, and blamed the liberals proves nothing. Moment during the clip in which I dribbled water through my nose: @3:05 It features the Pope's own personal preacher claiming that the newspapers, and other parties attempting to uncover and tell the truth about the Church's crimes and indiscretions are acting just like antisemites. For realsky. * The Official Torah True Orthodox Jewish Rule for Evaluating and Responding to Criticism is as follows: If we don't like the message then we pick on the "tone" and denounce the "agenda" and mention his non-Jewish wife (if possible). I've had some rice, and of course I've cooked in chometz pots, and used chometz utensils, but as yet I've eaten no leaven. I'm still nibbling happily on matzo, in fact. Search for more information about things I like at 4torah.com. Rav Elyashiv is being quoted by his confidante, Rav Efrati, as having issued a psak that one should not buy chametz after Pesach from a chiloni Jew, even when he sold his chametz. The reasoning for this issur is that the chiloni has no interest in selling his chametz - he is simply doing it to fulfill a religious requirement being imposed on him. Because he has no actual intention to really sell the chametz, the sale is a farce and does not take affect. If the sale is invalidated, that means any chametz he owns is retroactively considered chametz that was owned by a Jew on Pesach, which is not allowed to be purchased. The kashrus organizations that dealt with the selling of the chametz actually considered this problem and say they had resolved it by using a different text in the sale. The altered text gave this sale a much more powerful legal status to the sale, thus ensuring that the seller of the chametz actually had a level of intent to really sell the chametz. What I find particularly strange about this is how it compares to shmitta. During the shmitta year, the main argument, or one of them at least, against the hetter mechira, in any form, was that no land owner actually wants to sell his land. They don't want the non-Jew to actually process and complete the purchase of the land. Therefore, with the intention to not really sell the land, the sale cannot be valid. Fine. However, when the inevitable comparison to mechiras chametz always came up, and the question was raised why it worked for chametz but not for land, the answer given was that anybody would be happy to sell his chametz, if the non-Jew would want to complete the transaction. Land, not. The difference means that the sale of chametz works, because they are happy to sell, while the sale of land doesn't work, because the owner is hoping ti doesn't actually happen. So now Rav Efrati, in the name of Rav Elyashiv, is really saying that this difference is not even true. Really chametz and the sale of the land are exactly the same. And, why does he think that the seller is not interested in selling his chametz? Wouldn't any store owner be happy if the non-Jew came in and said he wanted to take all the chametz items and pay the full price for them? I would think any store owner would be ecstatic about that happening. The tour guide's daughter Dorit was Mac Air Book chick Yael Naim. You can see her recording her lines for her character's big fight with Bart Simpson here (warning: its boring). The episode itself is still on Hulu. Was Roman Vishniac a fraud? Who has the frumest readers?